School officially starts tomorrow and as usual the Rich Hill First Christian Church provided a delicious meal for the staff of the Rich Hill School District. Teachers also were provided with a wide selection of school supplies to take back to their classrooms. 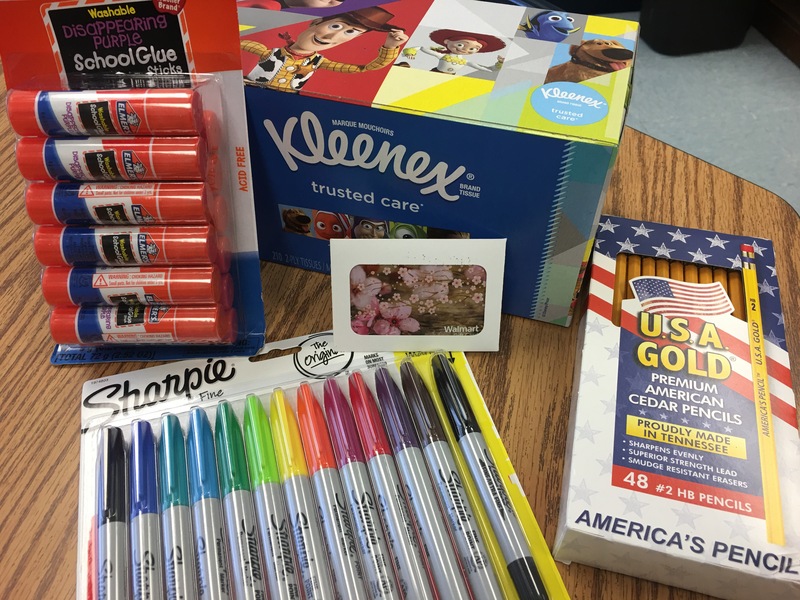 This year in honor of Shirley Tippie several gift cards to Walmart were also provided to help teachers purchase supplies for their classrooms. Mrs. Dixie Glynn told the staff of how Shirley had been the one to begin this annual meal as well as sharing many memories of this kind woman. Her granddaughters Brodi Mendez and Kiley Tourtillott now teach in the district and another granddaughter Hailey Gillis is a teacher in the Nevada district. The district says thank you so much for your continued support! Thank you so much to everyone at the Christian Church. It was delicious and the supplies and gift cards were so generous!! !